Niti Aayog CEO Amitabh Kant was on Monday has given an extension until June 30 next year. He was appointed the chief executive officer of the government think tank on February 17, 2016, for a two-year term. The order issued by the personnel ministry said the Appointments Committee of the Cabinet has approved the extension of Kant’s tenure till June 30, 2019. Before taking over as the CEO of National Institution for Transforming India (Niti Aayog), he was the secretary, department of industrial policy and promotion. PM set for the 2nd visit to UAE to forge the strategic alliance. Prime Minister Narendra Modi is heading for a three-day, the three-nation visit to West Asia this week. The visit will start on the 10th of February with Palestine from where the PM will travel to the UAE and round-off the trip with a stopover in Oman. In UAE, the Prime Minister will participate in the foundation stone-laying ceremony, via video-conferencing, of Abu Dhabi’s first Hindu temple. The UAE government reportedly granted 20,000 square metres of land for the temple. The UAE government had made the announcement of the land allocation, just outside Abu Dhabi city, during Modi’s first visit to UAE in 2015. The Prime Minister had made his first stand-alone visit to Israel last year in July, just weeks after hosting Palestinian President Mahmoud Abbas in New Delhi. Israeli and Indian officials to meet to discuss terrorism. Senior officials from Israel’s foreign office in India will hold a meeting with officials from the ministry of home affairs. A senior government official said the meeting is to discuss the possibilities of working closely on security-related matters. The meeting, likely in March, will the first among many and a part of the “follow-up action” taken by the two governments after Israel Prime Minister Benjamin Netanyahu visited India last month. The meeting is the first one between government officials from both sides after the visit of Mr Netanyahu. India, Egypt boost cooperation in the field of antiquities. The cooperation between India and Egypt in the field of antiquities will receive a boost as an Egyptian archaeologist is set to travel to India. India’s ambassador to Egypt Sanjay Bhattacharyya has said their travel to India is to advise on the preservation of Egyptian mummies located in different Indian museums. The Ambassador also inaugurated a photography exhibition of the antiquity collection of the Museum of Islamic Arts entitled “Lens” at the Maulana Azad Centre for Indian Culture. Mohan Bhagwat begins 10-day Bihar trip. RSS chief Mohan Bhagwat on Monday embarked on a 10-day Bihar trip to meet workers from RSS. Asked about RSS’s increased activities in Bihar, an RSS functionary said, “Our programmes are decided well in advance. Latest International Current Affairs Feb 6 Updates from around the globe. 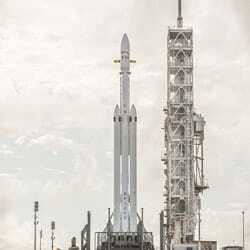 SpaceX set to launch ‘world’s most powerful rocket’ that aims for Mars. SpaceX is poised for the first test launch of its Falcon Heavy, which aims to become the world’s most powerful rocket in operation. It is capable of reaching the Moon or Mars some day. The launch, scheduled for 1:30 pm (1830 GMT) from Cape Canaveral, Florida, is the most ambitious yet for SpaceX. South Africa’s ANC holds crunch talks on President Jacob Zuma’s future. South Africa’s ANC party held an emergency meeting on Monday to discuss whether Jacob Zuma should stay in office as the embattled president reportedly refused to resign. Zuma, whose tenure has been engulfed by corruption scandals, is due to deliver the annual state of the nation address on Thursday. The African National Congress (ANC)’s 26-member national working committee meet at Luthuli House, the party headquarters in Johannesburg. Zuma could leave office either by resigning, through losing a motion of no-confidence in parliament or impeachment proceedings. He could also be “recalled” by the ANC. Check out the latest trending business Current Affairs Feb 6 updates by reading the news. Apple Music could overtake Spotify in the US. Apple Music is set to overtake its rival Spotify music streaming services in the US with a growth rate of 5% a month versus Spotify’s 2%. The Apple Inc.’s streaming-music service, introduced in June 2015, has been adding subscribers in the US more rapidly than its older Swedish rival. The US is the largest market for music streaming with 30 million paying subscribers and Apple’s growth there means that it is becoming a serious challenger to Spotify. Govt working on a plan to raise the share of exports in GDP to 20% says, Suresh Prabhu. Commerce minister Suresh Prabhu said the government will come out with a strategy document on increasing the share of exports to 20% of the GDP. In an interaction with export promotion councils in Kolkata, he asked the industry to come up with a detailed plan to push the country’s exports. According to Federation of Indian Export Organisation, the current share of exports in GDP is 18-19%. In his budget speech last week, finance minister Arun Jaitley had said that India’s exports are likely to expand by about 15% in the current fiscal, ending March 31. Singtel to raise stake in Bharti Telecom for 2,649 crores. Singapore-based telecom operator Singtel will invest Rs 2,649 crore in Bharti Telecom, the promoter company of Bharti Airtel. Singtel’s total stake in Bharti Telecom will increase to 48.90 percent from the current 47.17 percent. Bharti Enterprises continues to hold over 50 percent stake in Bharti Telecom. 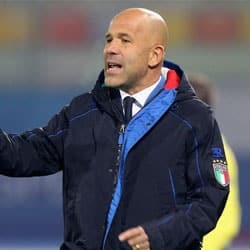 Luigi Di Biagio appointed Italy football team interim head coach. Italy Under-21 boss Luigi Di Biagio has been installed as interim head coach of his country’s national team. The former Roma and Inter midfielder, who was capped 31 times by Italy, will take charge of next month’s friendlies. Italy faces La Albiceleste at Manchester City’s Etihad Stadium on March 23. Murugappan takes charge of Murugappa Group. South-based diversified conglomerate Murugappa Group has appointed M M Murugappan as the Executive Chairman. Murugappan, who was the vice-chairman, succeeds A Vellayan, who served as executive chairman from November 2009. Murugappan is on the board of several companies outside the Murugappa Group including Mahindra & Mahindra and Cyient Ltd.
Scientists discover the first planets outside the milky way. Using data from a NASA X-ray laboratory in space, Xinyu Dai, an astrophysicist and professor at the University of Oklahoma, detected, for the first time ever, a population of planets beyond the Milky Way galaxy. The mass of the planets ranges in size from Earth’s moon to the massive Jupiter, our solar system’s biggest planet. Boeing in talks with Indian navy to sell F/A-18 fighter jets. Boeing Co. is in talks with the Indian Navy to sell its F/A-18 Hornet fighter jets in a bid to gain a bigger share of the defence market in the South Asian country. India’s navy last year invited proposals for 57 jets for its aircraft carriers, while its air force is seeking at least 100 planes. Boeing and Saab AB have said both the orders should be combined, which would make it the world’s biggest fighter jet order in play. Former Meghalaya minister resigns from BJP over ticket denial. Former Meghalaya Minister Manas Chaudhury, who was denied ticket by the BJP to contest in the February 27 elections, has resigned. BJP has allotted ticket to former deputy speaker Sanbor Shullai from South Shillong, which Chaudhury was eyeing. The BJP announced names of two more candidates today in addition to 45 it released last week. Chaudhury had crossed over to BJP from Congress last year with the hope of contesting on its ticket. Current Affairs Feb 6 is bringing you with Records, titles and other updates from the world of sports. Shubhankar Sharma jumps to number 72 in the world after the title win. Shubhankar Sharma emerged as best Indian golfer in the world, grabbing the 72nd position in the Official World Golf Ranking. Sharma has enjoyed a golden run over the past few months on the international stage, clinching his first European Tour win at the Joburg Open in December last year. He had entered the event in South Africa ranked 462 in the world and his victory soon catapulted him to 226. The win in Kuala Lumpur yesterday elevated Sharma from 193 to 72, a gain of 121 spots. London to host inaugural eight-nation World Cup. Britain and the United States will compete along with South Africa, Poland, France, China, Germany and Jamaica in the inaugural World Cup from July 14-15 at London Stadium. We have 8 lanes, 8 top nations, 8 teams and a host of world-class athletes lining up in each event to win the trophy and prize pot. One male and one female athlete from each nation will be selected for every field event. Each track race up to 1500 metres, with the total prize pot set at $2 million over two evening sessions. Candidates hoping to get Government Jobs can get more details about the Current updates from above links. You can read some latest Current Affairs, and attempt Current Affairs Quiz which helps you to crack various Competitive Exams. Make use of our Current Affairs Feb 6 and current affairs India 2018 for better scoring in exams. Users will be benefited with the free month wise Current Affairs PDF and Updates available for download. The Free Quizzes & GK Questions available in this Affairs Section will benefit all the career hopefuls to get their desired Sarkari Naukri. This current affairs daily page is well created by the dedicated team members of recruitment.guru. Make use of Current Affairs Feb 6.